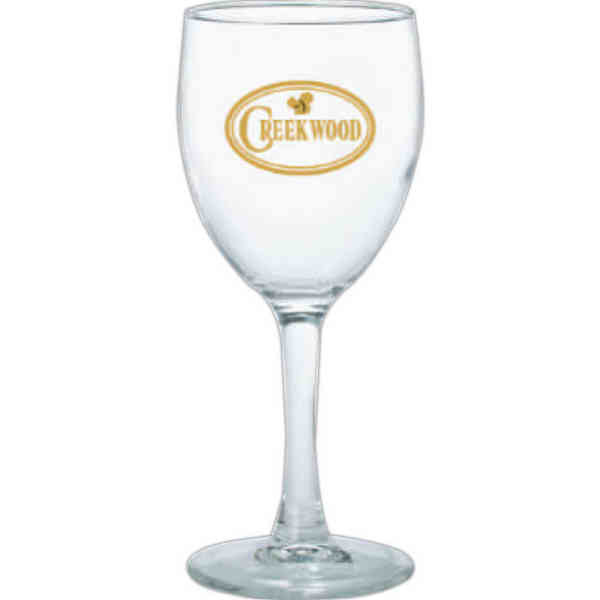 Entice more customers to continue choosing your restaurant as their main place to dine by making this wine glass a part of your overall experience! It's made in the USA and holds up to 8 1/2 oz. of liquid. It has an elegant straight stem and can feature your company artwork on the exterior using any one of our multiple imprinting methods. Serve your clients with this item or give this away as a gift at your next event. What a great way to boost your popularity!